Anders Wallgren is chief technology officer at Electric Cloud. 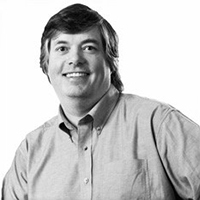 Anders has over 25 years’ experience designing and building commercial software. Prior to joining Electric Cloud, he held executive positions at Aceva, Archistra, and Impresse and management positions at Macromedia (MACR), Common Ground Software, and Verity (VRTY), where he played critical technical leadership roles in delivering awardwinning technologies such as Macromedia’s Director 7. Anders holds a B.SC from MIT.